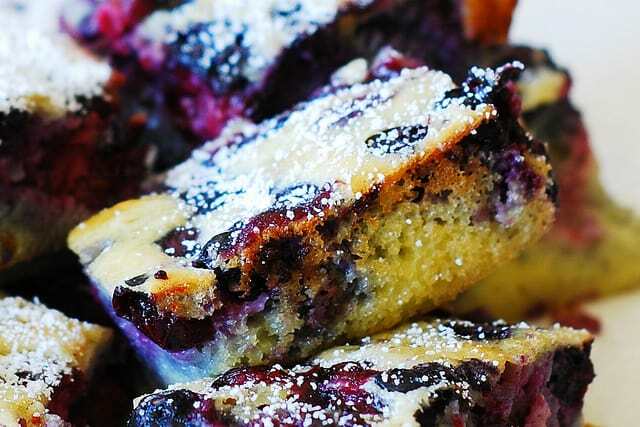 Berry Clafoutis recipe – a traditional French dessert. I made it with Blackberries and Blueberries. Breakfast and dessert recipe. 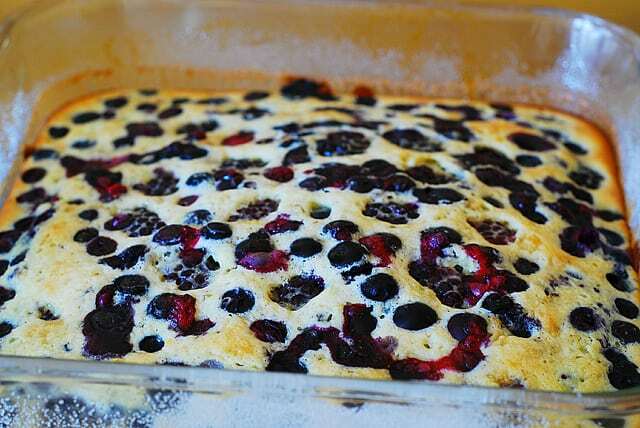 The main reason I wanted to make this baked French dessert was that I liked how it sounded – berry clafoutis. Doesn’t it sound very French and sophisticated and refined? Plus, as you can judge from the name, the berry clafoutis is filled with berries (and I love sweets with berries), and it is different from your usual berry desserts because it has a flan-like texture. So I was excited to give it a try! Keep in mind that this dessert is not for everybody. Here is an example. My husband loved it because he loves everything “French” and he doesn’t like overly sweet desserts. So, judge for yourself and your audience. If you don’t like overly sweet desserts but love desserts with a lot of berries – go for this mixed berry clafoutis! This recipe has only 1/3 cup of flour, compared to 1 cup of half-and-half and 3 eggs, which results in a flan-like texture instead of a cake-like texture. 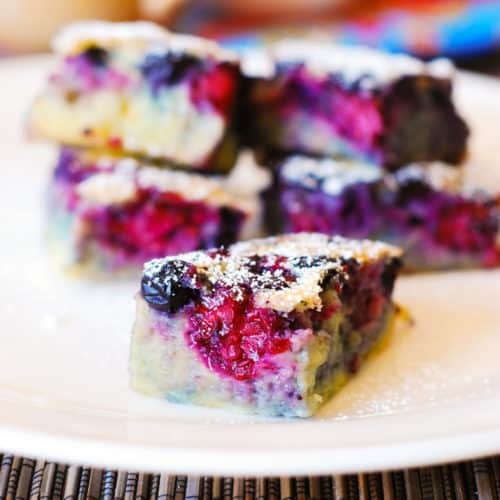 As a result, these dessert bars are very light in terms of the density of the cake batter, which makes berries the star ingredient (as opposed to the cake batter). And that’s why I loved this recipe. If that’s what you’re looking for – you’ll love it too! 1) Make sure to use electric mixer to whisk together the eggs, half-and-half and vanilla extract really well until very smooth and well-combined. If this step is not done properly and you don’t whisk eggs enough your dessert might come out too egg-smelly. 2) This kind of dessert tends to stick to the pan. 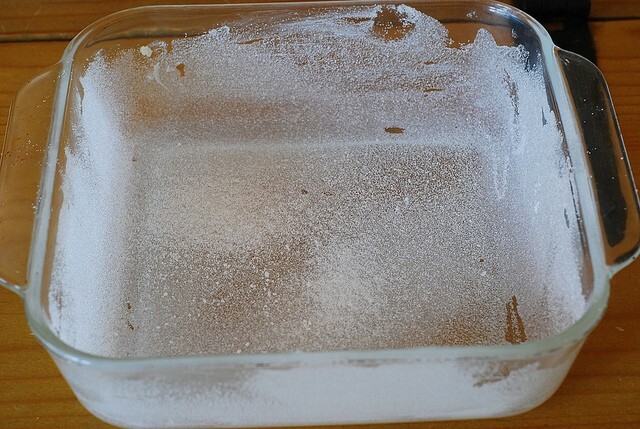 So, while I like to use butter to grease the pan and cut slices right out of the pan (without taking the cake out of the pan), you might want to use non-stick spray like Pam and give a good coat to your pan, just in case. 3) Do not over-cook. Bake exactly for 30 or 35 minutes (NOT LONGER) in a well pre-heated oven and don’t open the oven during baking to avoid losing heat. If you overcook this dessert, your eggs will overcook, and it will taste rubbery. After 30 or 35 minutes of baking, the clafoutis should look puffed up, golden around edges and set in the middle (when the top is no more liquid). It should be flan-like. 4) Serve it warm. It’s good at room temp and warm with a little cream or half-and-half poured over it. 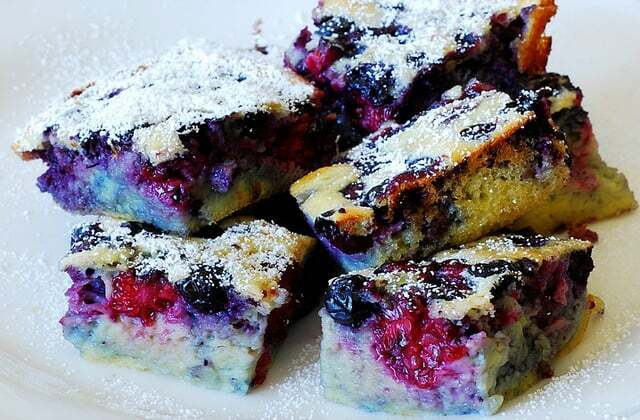 Berry Clafoutis - a traditional French dessert. I made it with Blackberries and Blueberries. Breakfast and dessert recipe. Use 9 inch square cake pan. In a medium bowl, combine together the flour, baking powder, salt and powdered sugar. In a small bowl, using electric mixer, whisk together the eggs, half-and-half and vanilla extract until very smooth and well-combined. Make sure this step is done properly so that in the end your dessert does not come out smelling too much like eggs. Combine dry ingredients with wet ingredients, and stir, using electric mixer, until a smooth batter forms. The batter will be very liquid. At this point, you can mix in optional lemon zest into the batter. Grease the bottom and sides of the cake pan with butter. 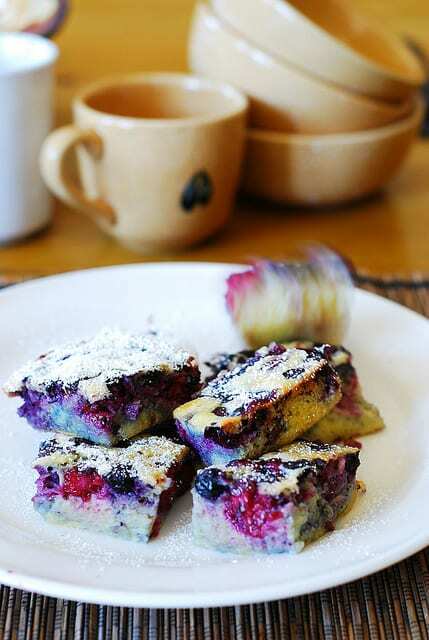 Dust all surfaces of the pan with the granulated sugar and fill the pan with the mixed berries. This type of dessert has a tendency to stick, so instead of butter you might use non-stick spray instead. Pour the batter over the berries. Bake 30 – 35 minutes or until puffed up, golden around edges and set in the middle (when the top is no more liquid), and it looks and feels flan-like. 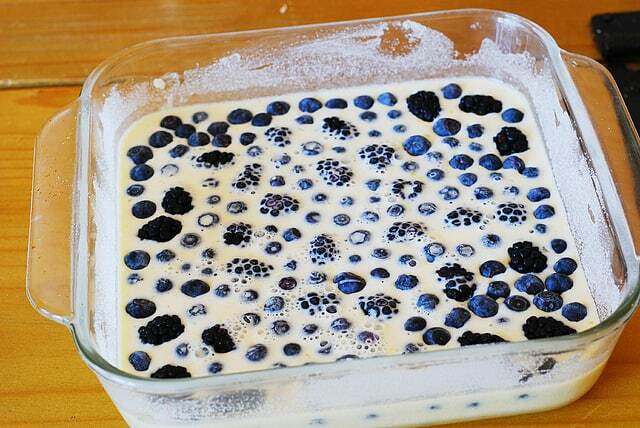 Do not open the oven until the end of the baking time, or the clafoutis may collapse. 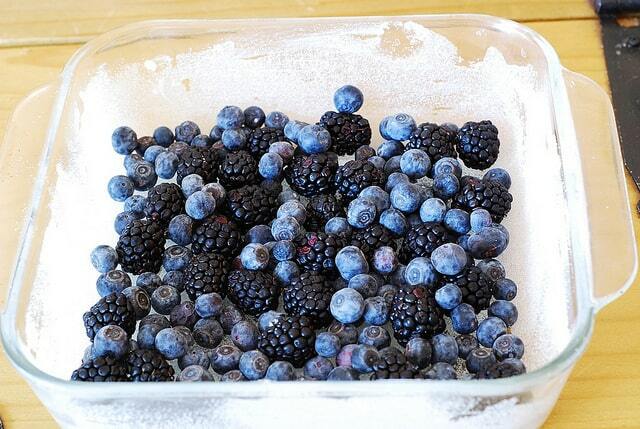 Berries will rise to the top towards the end of baking time. Do not overcook, or your dish will come out “rubbery”. Turn out onto a serving plate, dust with powdered sugar and serve warm. It’s also good with a little cream, milk or half and half poured over it. This dessert is best consumed fresh, immediately after baking, or within 2 days. I hope to make this recipe soon. Would a mixture of cranberries and blueberries work here? Thank you. Yes, it will work. It would be quite tasty to use cranberries and blueberries. Are you using fresh cranberries? They usually taste tart, so keep that in mind. I actually like the tart flavor they bring to desserts so I don’t mind it. This was such a tasty dessert! Yummy! I love using fresh berries. Calfoutis is made with dark cherries only. If made with any other fruit it’s a flagnard. how many does this dish serve?? Are you talking about canned peaches? Canned peaches have so much moisture which could be tricky with the clafoutis. But, if you use fresh peaches, the recipe should work just fine! Yes, you can freeze it. I would seal it really well. It could be a good idea to slice it up first, seal each individual slice, and freeze them individually wrapped, and then let each slice thaw as you need it. This is one of my family’s favorite desserts and definitely mine!! 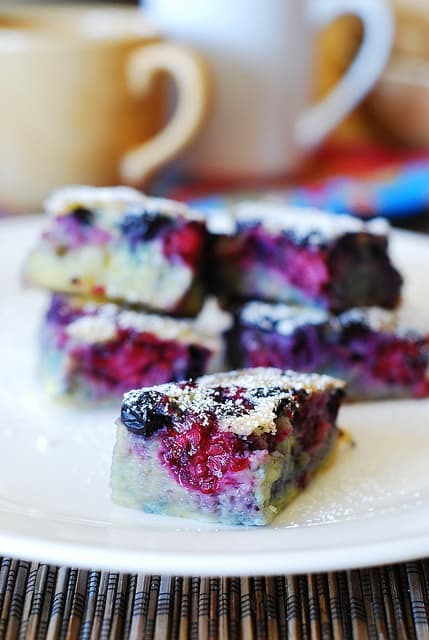 We make it every year for 4th of July and add raspberries too add some red color… So delicious. I should have made a double batch!! Thanks for the recipe! 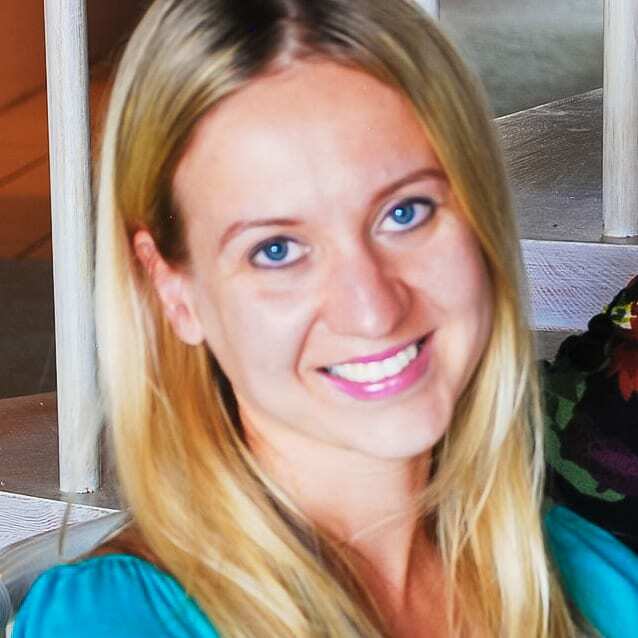 Thank you, Renee! Glad to hear it’s one of your family’s favorite desserts! It does look like a great recipe for the 4th of July!